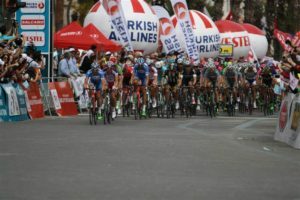 When we talk about sports in Alanya, the first thing that comes to mind is the Triathlon Race which has a very important place in the world of sports. 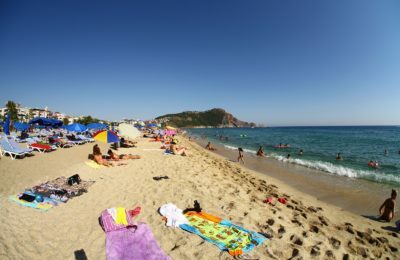 However, Alanya hosts a great number of international sports such as swimming marathons, mountain bike competitions, beach volleyball and beach football. 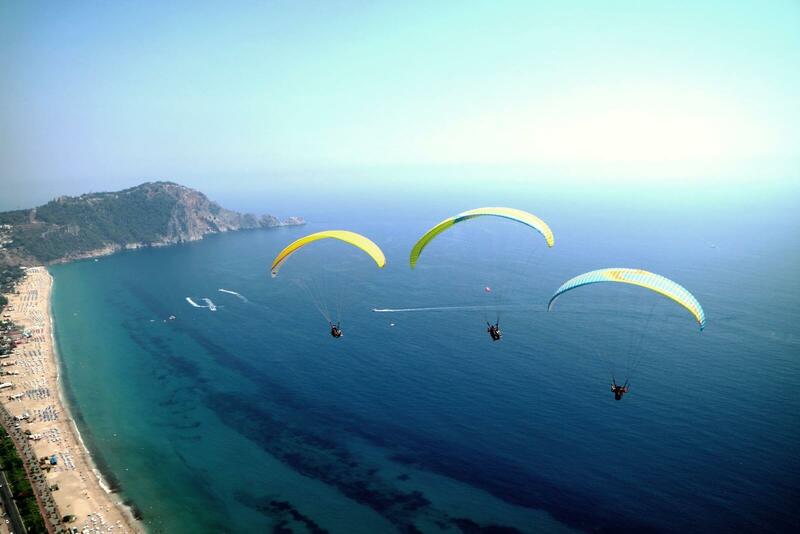 In a way, Alanya is like a capital of alternative sports in the Mediterranean. 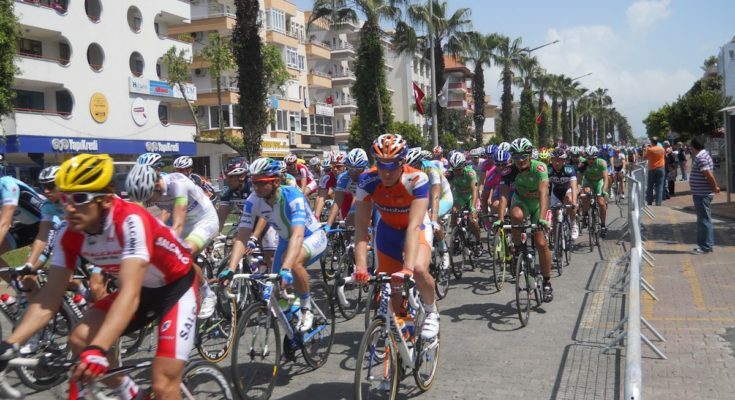 From Spring to Autumn, there is an international sports activity in Alanya. 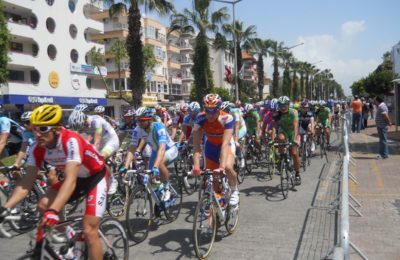 Due to the perfect climate and good training facilities found here in Alanya, many of the world famous sport teams have chosen to have their training camps here. 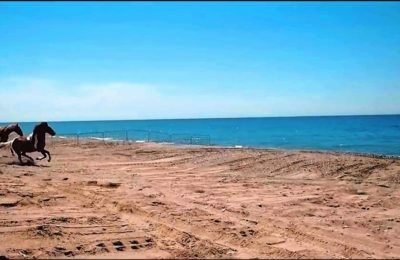 Especially the top national football, beach volley, triathlon and bicycle teams come from all over Europe to Alanya yearly for training. Due to the excellent climatic conditions in the winter Alanya is a perfect destination for triathlon teams. With an altitude of up to 1500 meters above sea level, good quality asphalt mountain roads and wide straight quality asphalt streets. There are also mountain biking and downhill trails. 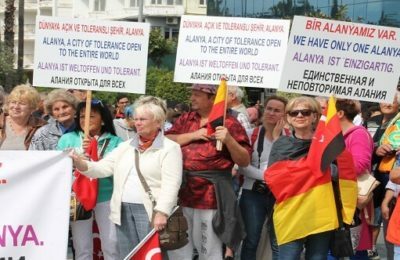 The local people of Alanya pay attention to, appreciate and respect the athletes. 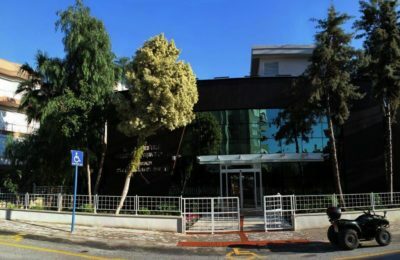 Due to the proximity of Alanya Gazipasa airport and the superb accommodation possibilities with appropriate facilities for the teams, Alanya is an attractive center for training teams. 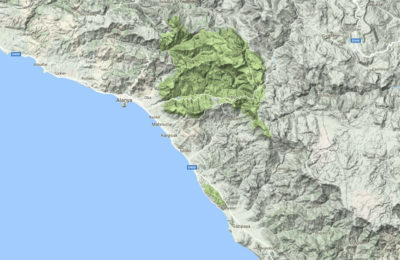 Several regions in the country are suitable for paragliding in terms of physical, geographical and climatic conditions. Paragliding is the simplest , easiest and the most respectful discipline of air sports, to the nature. 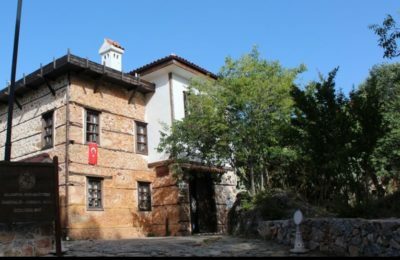 You may become one of the privileged individuals who actually with the unique contraction of the green tones of the Mother Nature with the blue shades of the ocean, from above the ground, while performing a floating landing on the beaches of the Mediterranean coasts, from the summit of the Taurus Mountains, resembling a bird’s flight in the sky that lasts for hours. 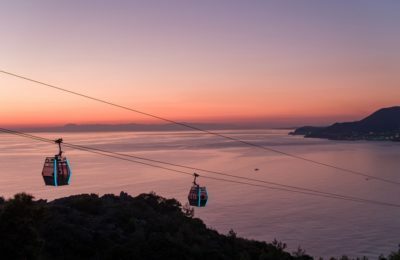 Within the scope of Alanya Nature Sports there are 19 walking / trekking, biking and off-road/driving courses plus 12 exclusive walking/trekking courses which have been identified, giving a total of 31 routes. 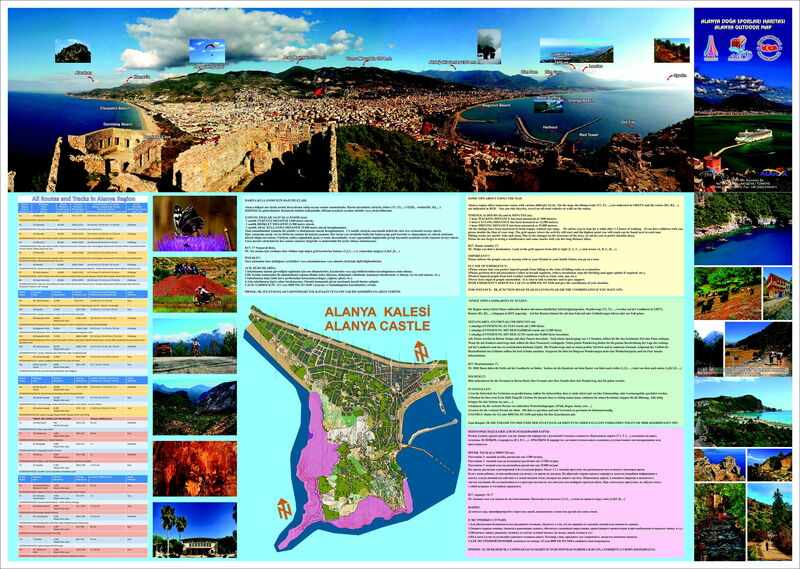 On these specified routes which are within the scope of the project and plotted accordingly on the Alanya Nature Sports Map, you may comfortably perform your trekking and biking activities. By following the directional signs placed on both sides of your travelling route, you will be able to follow the length of travel information in kilometres. Our hope is that both our local and international guests, who have not previously explored Alanya would like to get familiar with nature sports in our region. 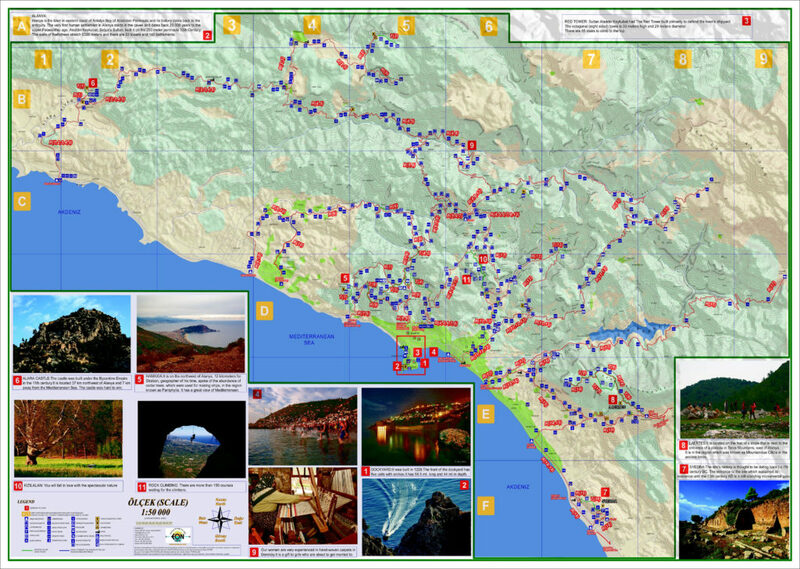 Within the framework of the Project, informational signboards with a map of the course and project-specific directional signs displaying length of travel in kilometres were placed along the trekking, biking and off-road routes on the existing interconnecting roads. 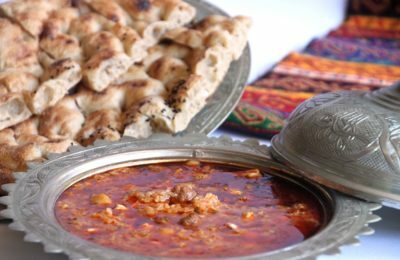 This covers an area of 2,240 square kilometres with a width of 56 km and depth of 40 km which encompasses the Ancient Cities of Syedra and Leartes in the East, Akdag Skiing Centre, Oba – Alacami, Kizilalan, Aksaray, Basirli, Mahmutseydi, Turktas, Suleymanlar and Gedevet districts in the northeast, Alara Han and Hamaxia in the west, Little Ayasofya historical site in the north and Alanya central Roads district in the south of Alanya downtown, in addition to (2 each) crossing bridges at Kizilalan county, where mountain biking events are organised, and two panoramic landscape viewing / observation/ meeting towers, one located at the paragliding take-off point at the piedmont of Cebelireis Mountain and the other, in the Yasir Ali county falling right above the Hidirellez Church..